Stampin' Up! makes an exciting announcement! I am thrilled to share some exciting news. Stampin' Up! is bringing in NEW colors, some favorite retired In-Colors are coming back.... there will be a grand Color Renovation! I am LOVING IT!!! Yes, there will be a few colors I will miss -- But this is going to be so much fun!!!! Stampin' Up! made a FABULOUS announcement yesterday They are introducing 5 BRAND NEW colors into our core line of colors AND bringing back 10 retired In-Colors!!!! We will be changing to 4 new streamlined color collections - each containing 10 colors. Stampin' Up! has given us plenty of time to stock up on our favorites so don't wait! You can place your on-line orders HERE. I can't wait to get my hands on these new delicious colors! 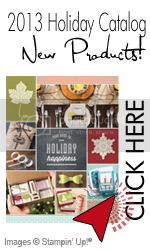 Bravo Stampin Up! Another job well done!